Despite the protests officially ending on Thursday, tensions around Iran have only been increasing. Saudi Arabia "bore all costs" for an alleged plot of the CIA and Mossad, according to Tehran. “The United States along with Israel and Saudi Arabia has created a special group aimed at instigating protests across Iran with Michael D’Andrea at its head. D’Andrea was joined by an officer, linked to Israeli external intelligence agency Mossad. Saudi Arabia bore all costs,” said the prosecutor general. Montazeri added that the group has created two operational cells in the city of Erbil in Iraq and in Afghanistan with an eye to get Daesh (ISIS) members’ attention to the protests. According to the prosecutor, the details of the plan, called “Consequent Convergence Doctrine,” have been collected for years. He alleges that an Iranian political-militant organization, the People’s Mujahedin of Iran, has taken part in its development. Starting December 28, Iran was engulfed in mass protests, which began in response to a surge in fuel and food prices, poverty and high rates of unemployment. At least 20 people have reportedly been killed in the nationwide protests, and 450 people have been detained, according to media reports. 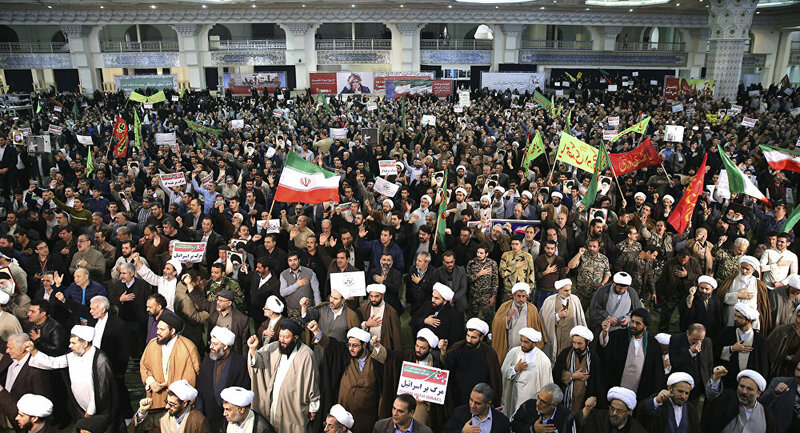 Official data estimates that 15,000 people rallied in protests in such cities as Tehran, Mashhad, Isfahan and Rasht. Iranian President Hassan Rouhani said Monday that the unrest had been provoked by the combination of existing domestic problems and outside influence.